Hudson Reed products always have that premium feel to them, and the company works hard to come up with those designer-style products for our homes. This traditional style ladder towel rail is a great choice for period homes or for those who wish to embrace a more traditional style in their homes. The 966mm by 676mm size allows plenty of space for the family's towels to be stored, and the shiny chrome finish will match taps and other accessories in the bathroom. Towel rails function in the same way as bathroom radiators, and this type of rail is plumbed in rather than a standalone electric model. That means your towel rail will switch on and off as your heating comes on and off, providing heating to your bathroom as well as keeping your towels comfortably warm. 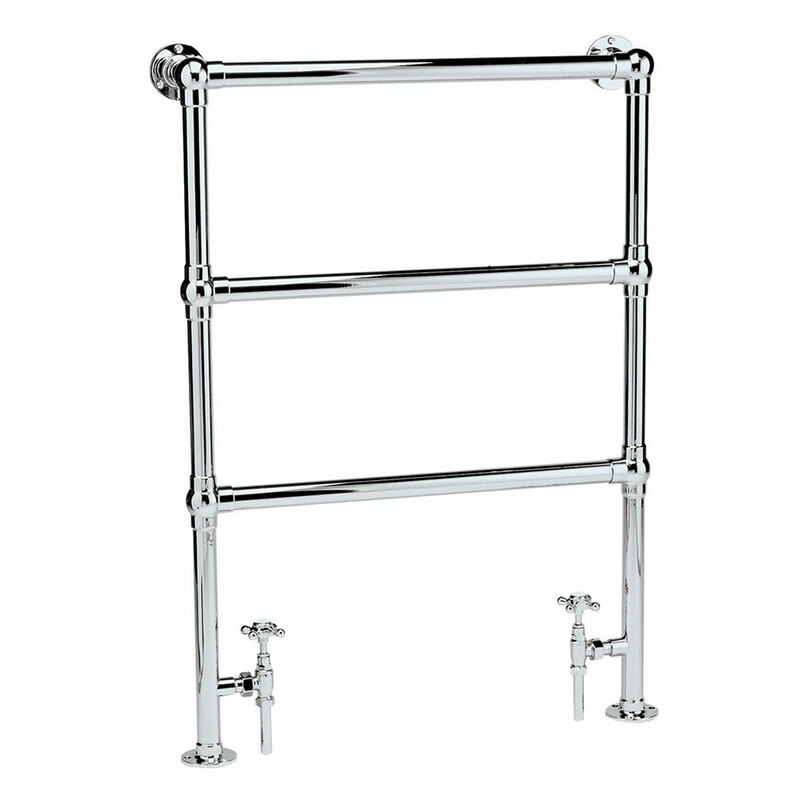 Towel rails are simple to install and easy to maintain, and the range of valves which you'll need to finish the project are available in our extensive range.